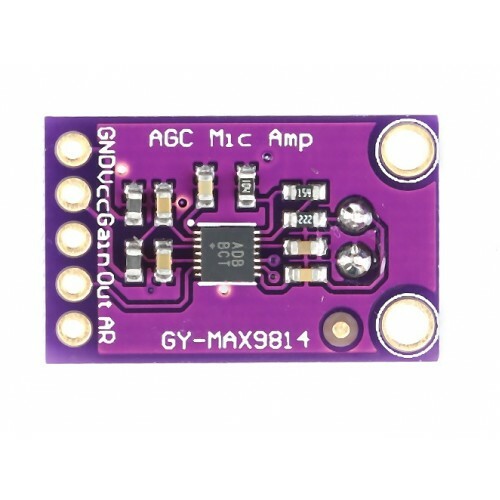 The MAX9814 is a low cost, high performance microphone amplifier with automatic gain control (AGC) and low noise microphone bias. 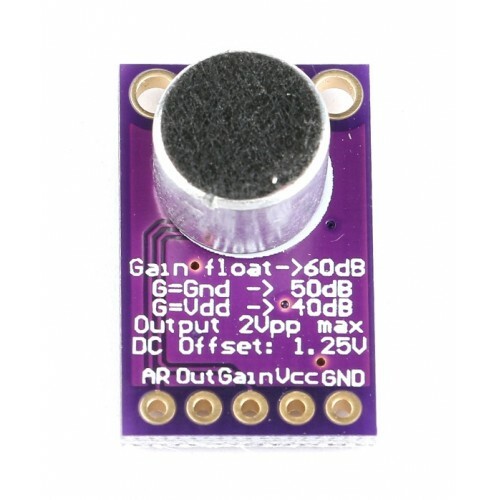 The device features a low-noise front-end amplifier, a variable gain amplifier (VGA), an output amplifier, a microphone bias voltage generator, and an AGC control circuit. The low-noise preamplifier has a fixed 12dB gain, while the VGA gain automatically adjusts from 20dB to 0dB, depending on the output voltage and the AGC threshold. The output amplifier offers selectable gains of 8dB, 18dB, and 28dB. With no compression, the cascade of the amplifiers results in an overall gain of 40dB, 50dB, or 60dB. A tri-level digital input programs the output amplifier gain. An external resistive divider controls the AGC threshold and a single capacitor programs the attack/release times. A tri-level digital input programs the ratio of attack-to-release time. The hold time of the AGC is fixed at 30ms. The low-noise microphone-bias-voltage generator can bias most electret microphones. LM386 Audio Amplifier ModuleNow amplify your audio signals with this low cost audio amplifier module..